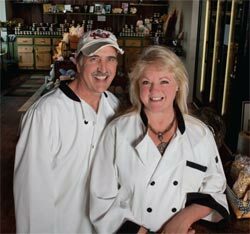 Owners, Kim and Kevin Baldwin, founded Appalachian Harvest in 1998. “Our gourmet condiments are still made in small batches, hand stirred and hand poured, just like grandma made”. No artificial colors or preservatives are used, letting the natural flavors come through. Appalachian Harvest adds a unique ingredient to all of their products, love! In 1998, Kevin and Kimberly Baldwin relocated to Cashiers, North Carolina. Almost immediately Kimberly started canning and preserving the bounty of fruits and vegetables found in the Appalachians of Western North Carolina. 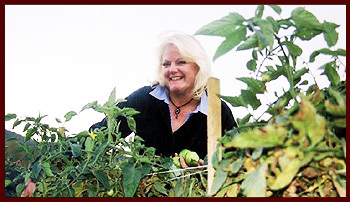 Her “Home Canned Goodness” soon became such a desired commodity that she launched Appalachian Harvest. Currently in her third and largest store, “Cashiers Condiment Shop” she is able to produce and retail her products. 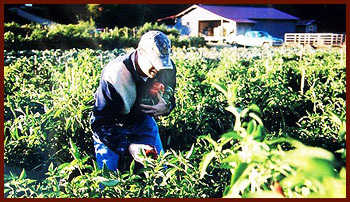 Appalachian Harvest has a loyal nationwide customer base. Our gourmet condiments are still made in small batches, hand stirred and hand poured, just like grandma made. No artificial colors or preservatives are used, letting the natural flavors come through. These products have been featured in Taste of the South magazine, and were used for catering the 2005 Superbowl in Detroit, Michigan. Appalachian Harvest adds a unique ingredient to all of their products, love!